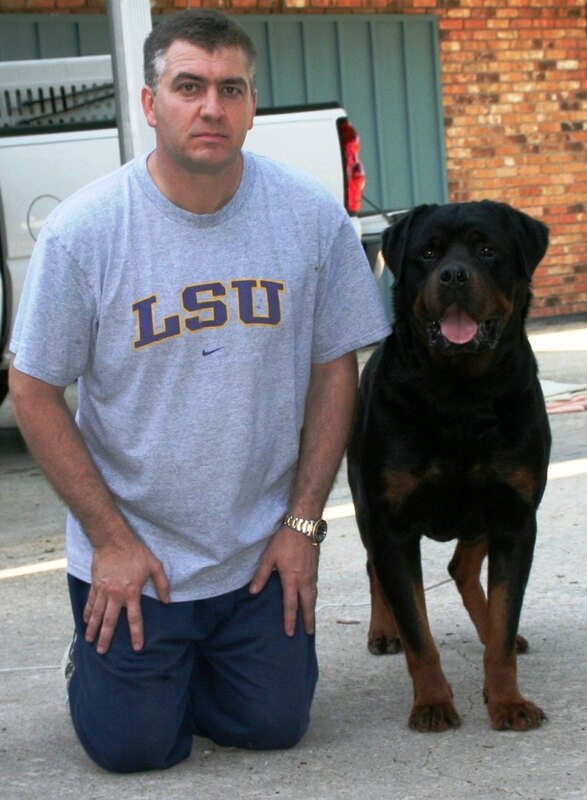 Nik is truly an ambassador for the breed. 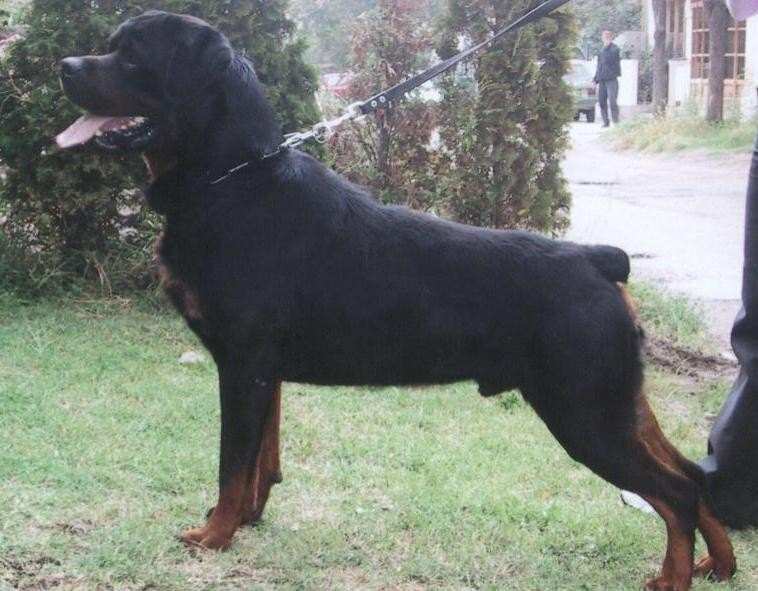 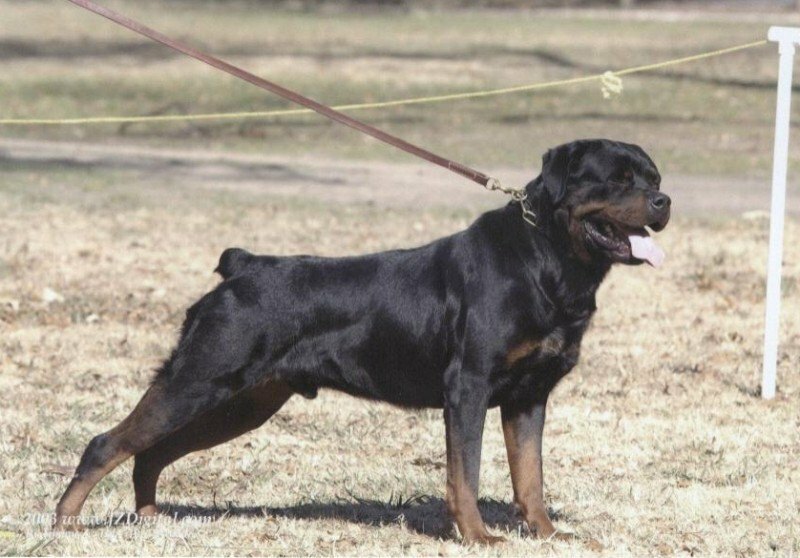 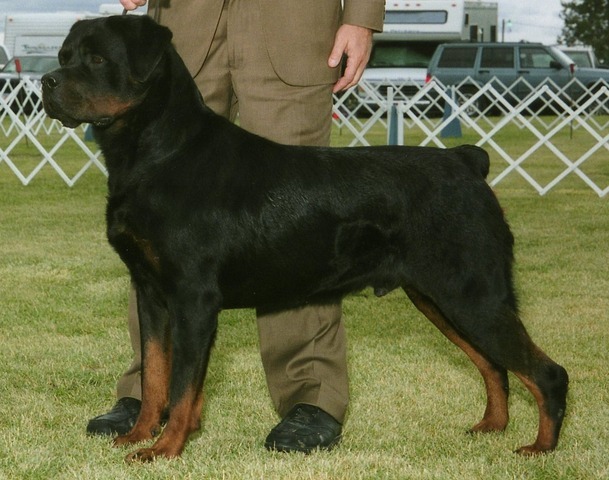 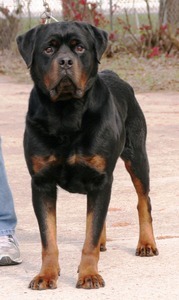 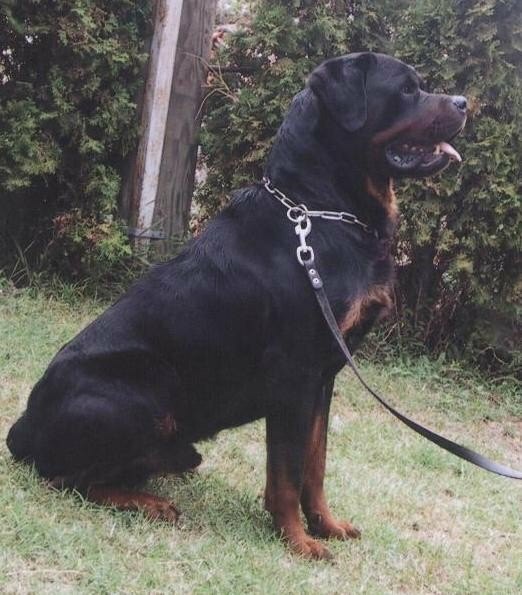 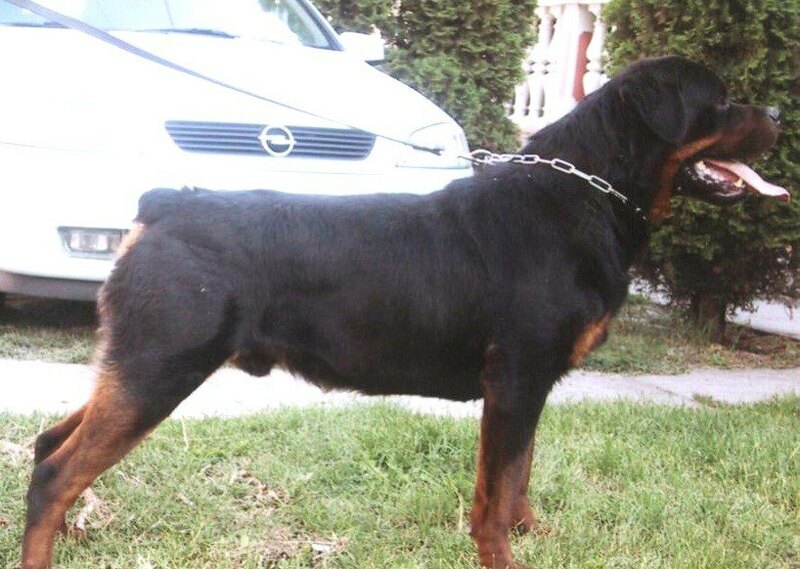 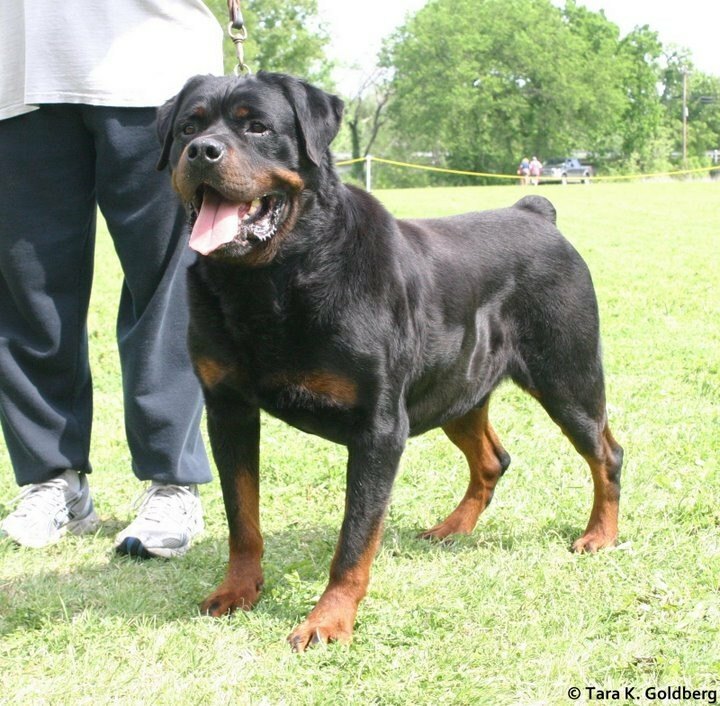 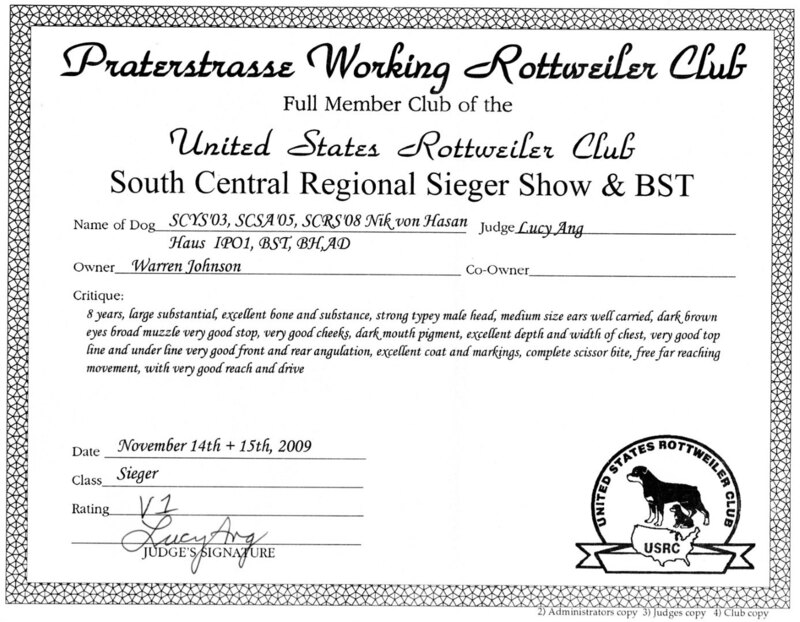 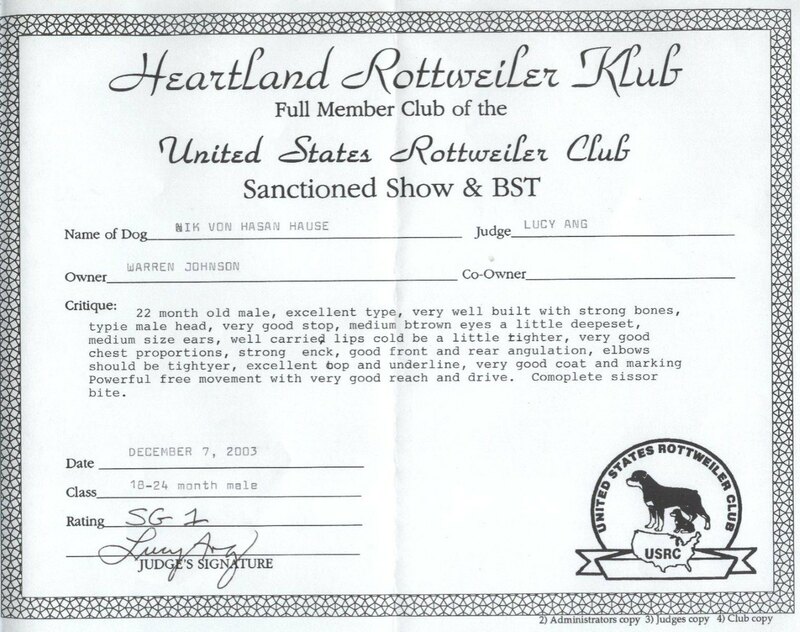 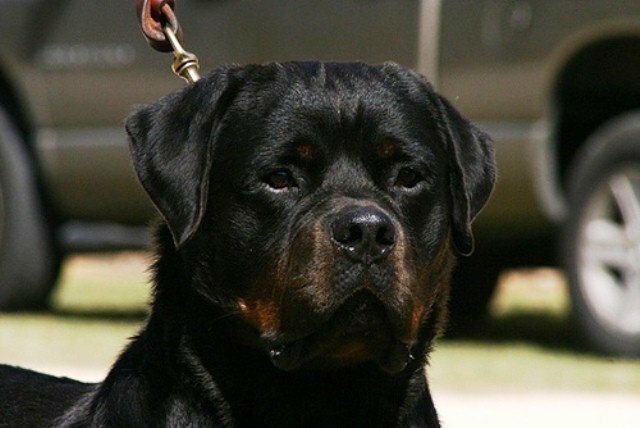 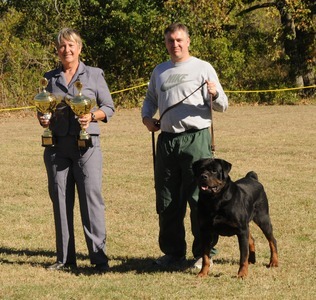 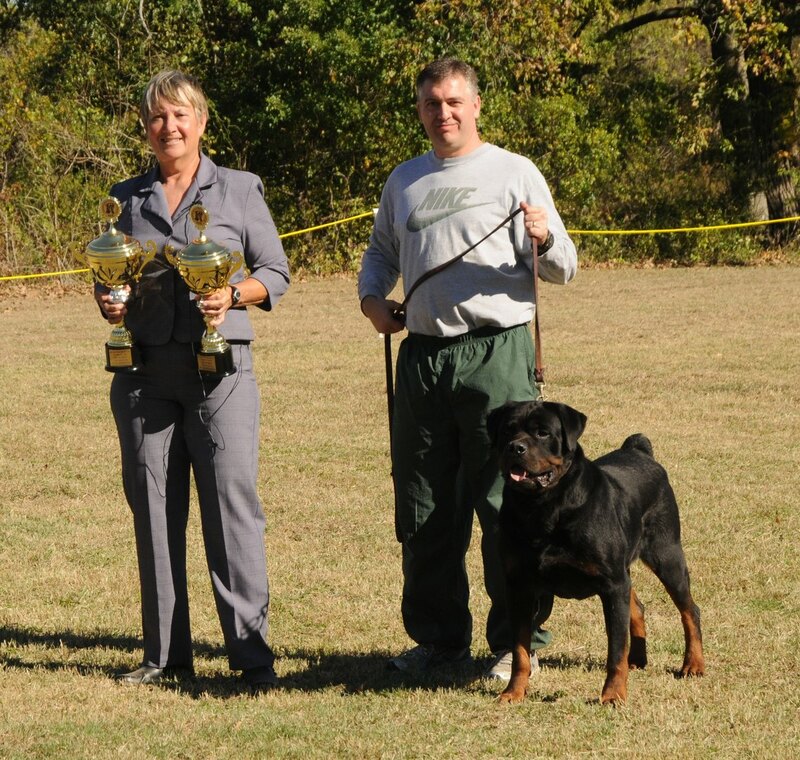 He is an ultimate example of the "Complete Rottweiler." 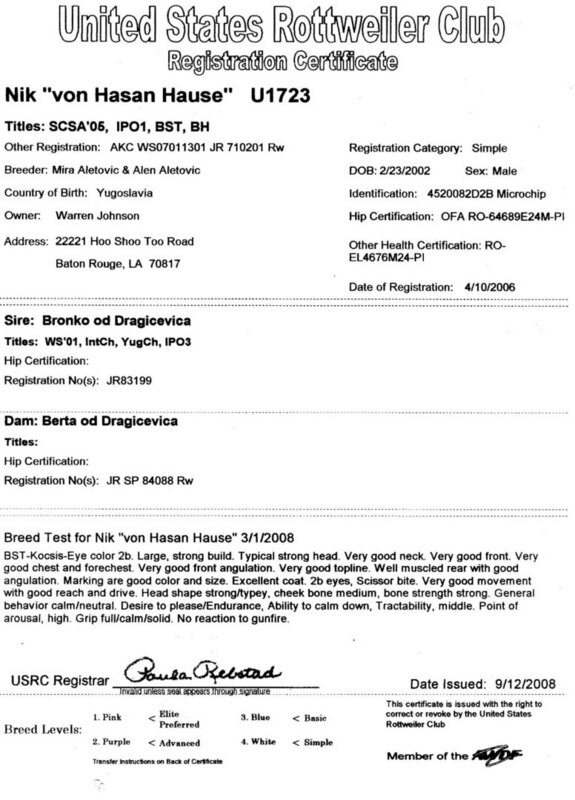 He has it all, he can do it all. 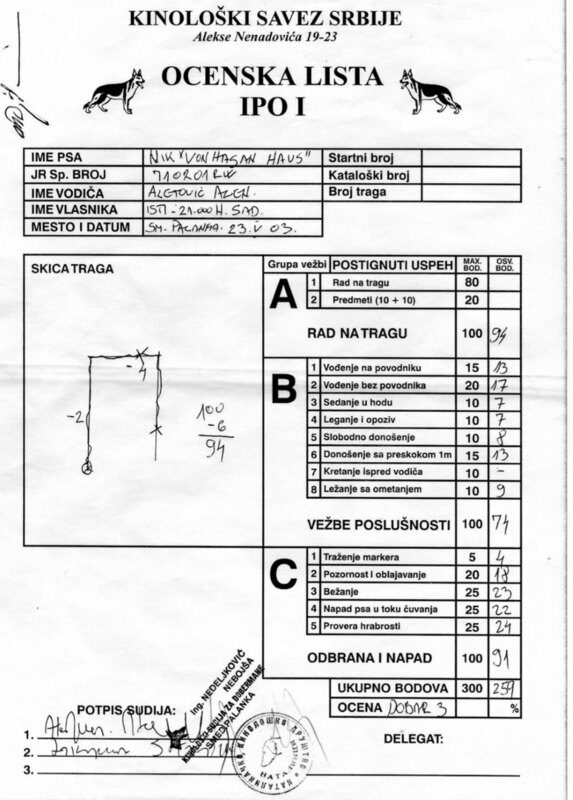 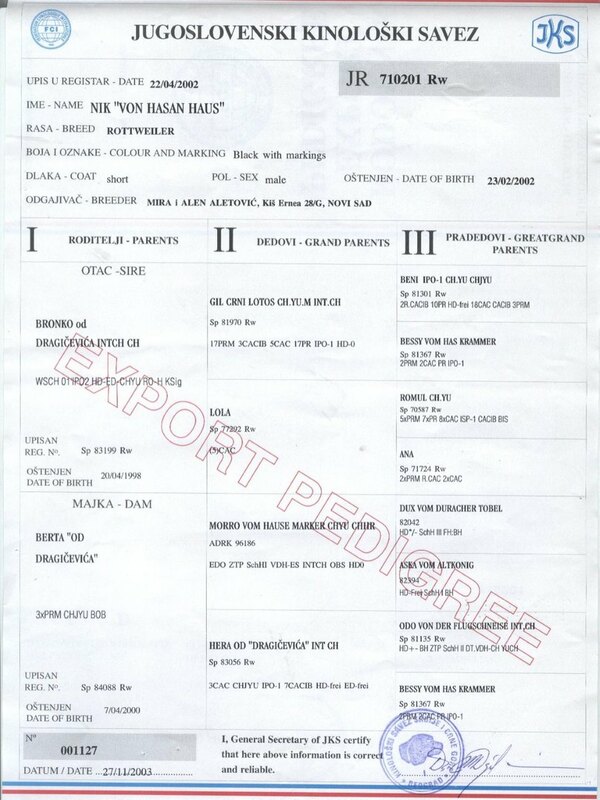 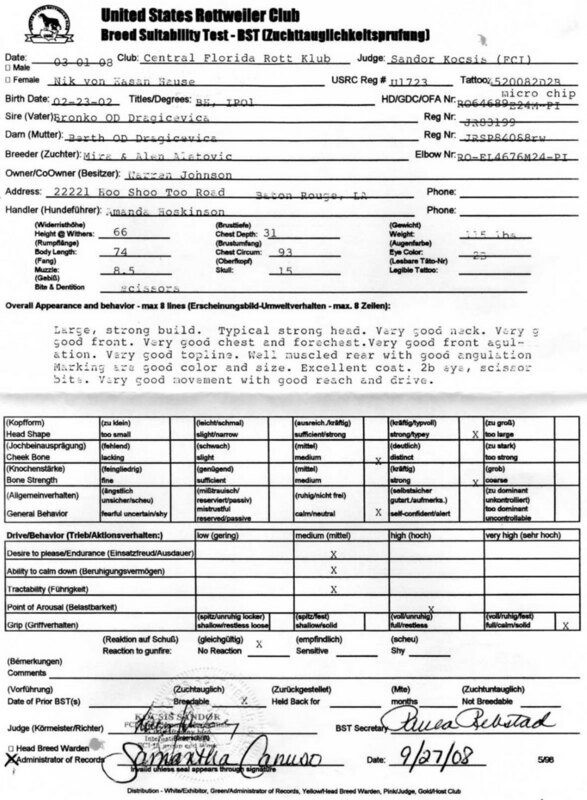 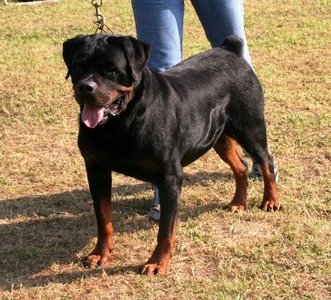 He is a large male but his measurements are considered to be the ideal within the standard. 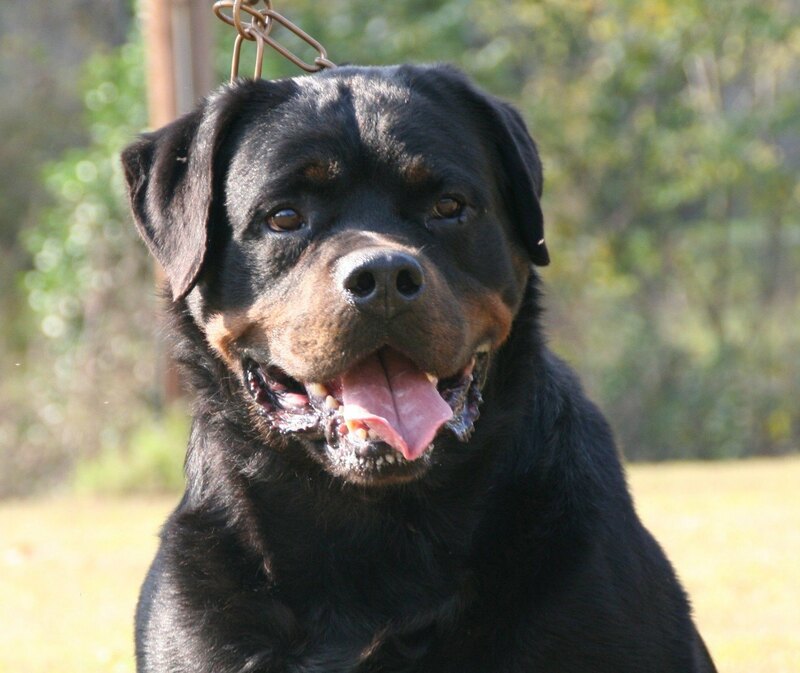 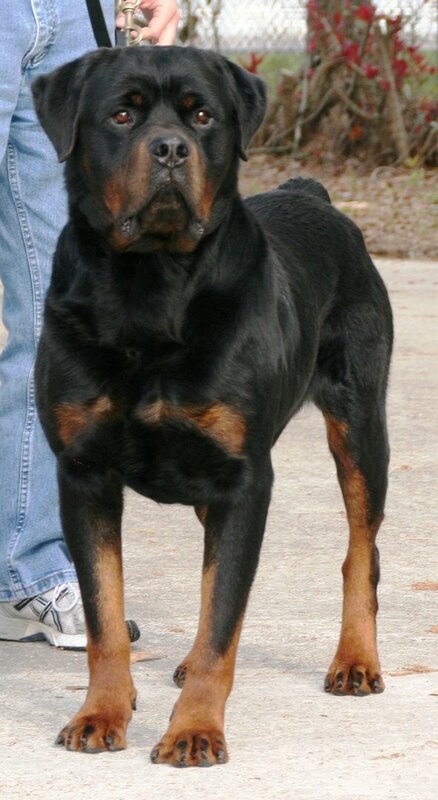 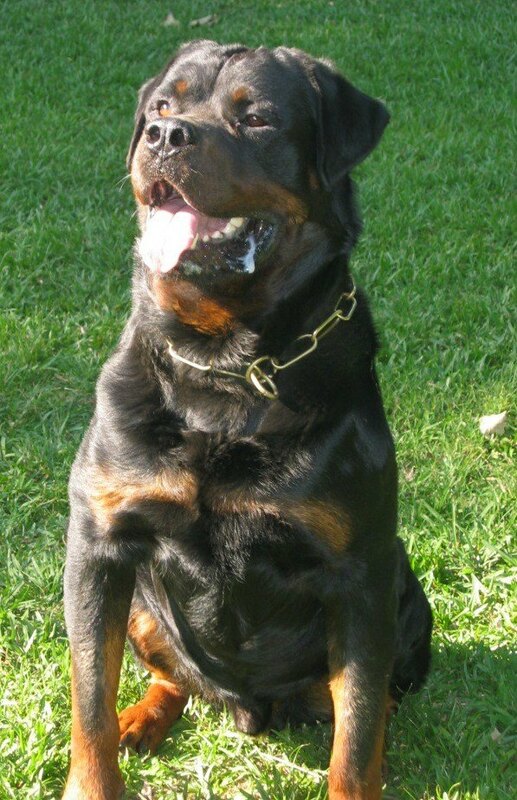 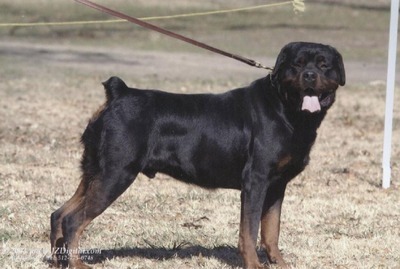 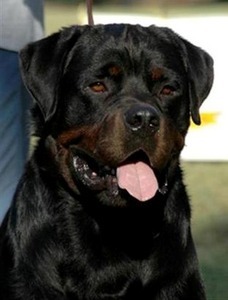 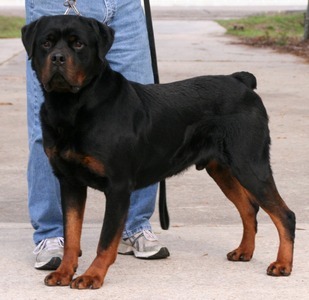 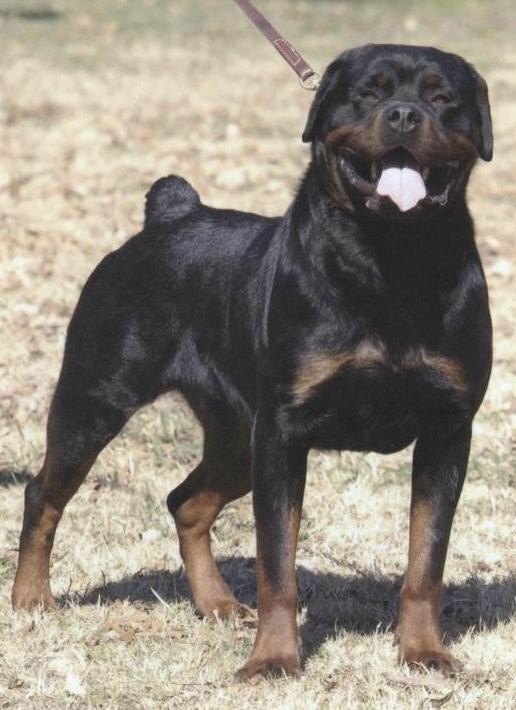 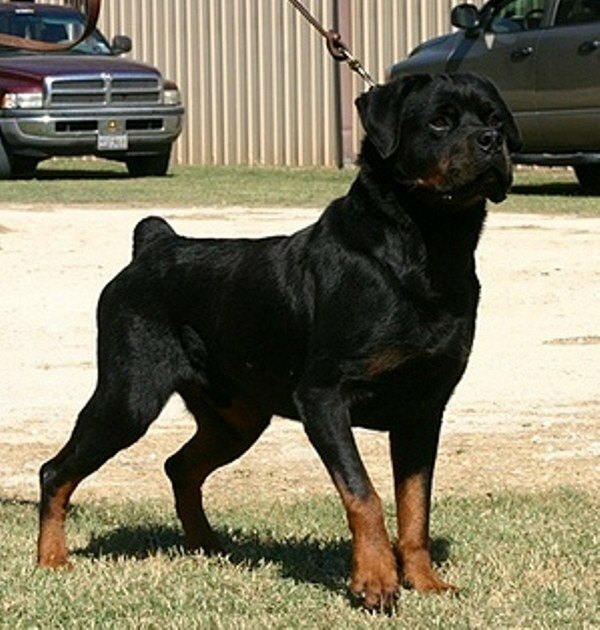 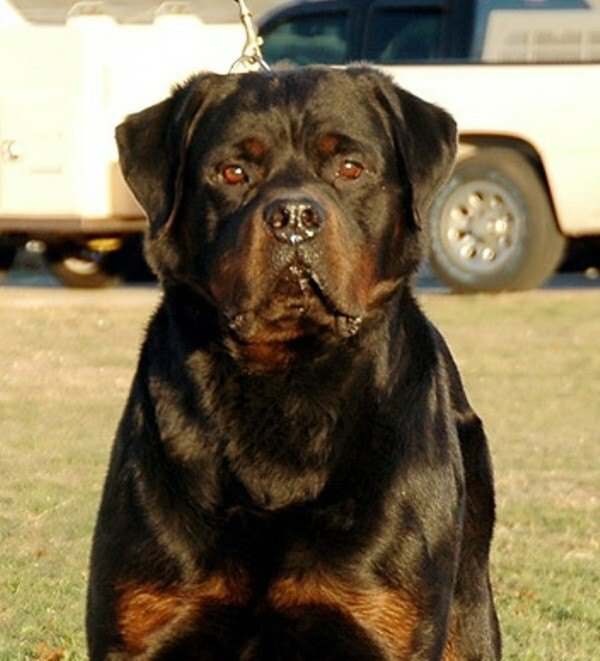 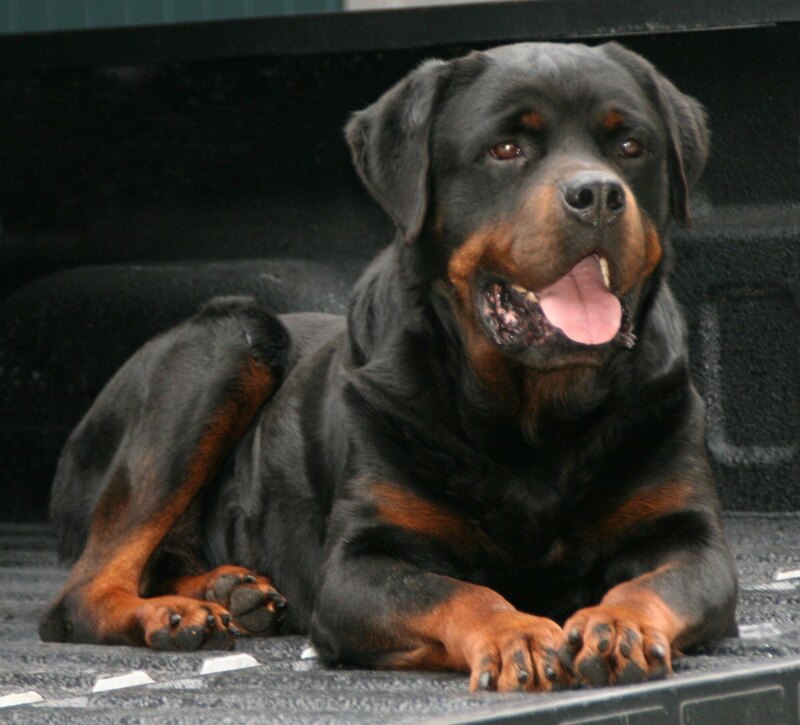 He has some of the most beautiful breed type that you will ever be privileged to see in a Rottweiler. 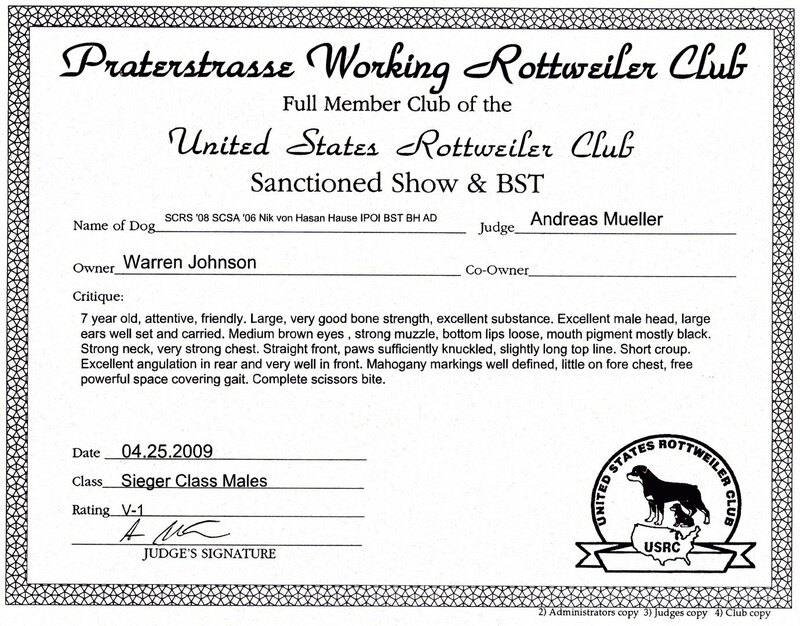 He has very correct structure. He has incredible substance and large bone. 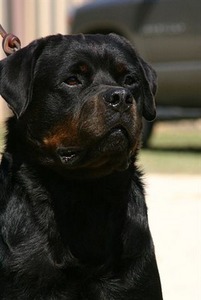 He sports a head piece like few you will ever see. 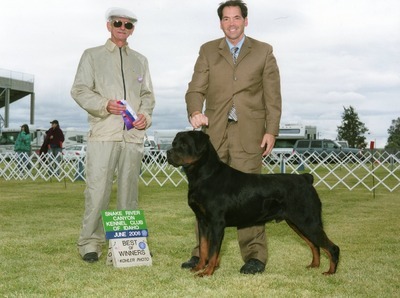 He has excellent drives and extreme focus for the work. 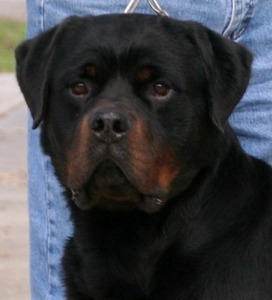 Cosmetically, he has rich mahogany markings, 2b eyes, and a perfectly solid black mouth. 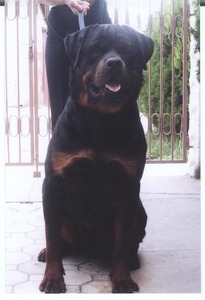 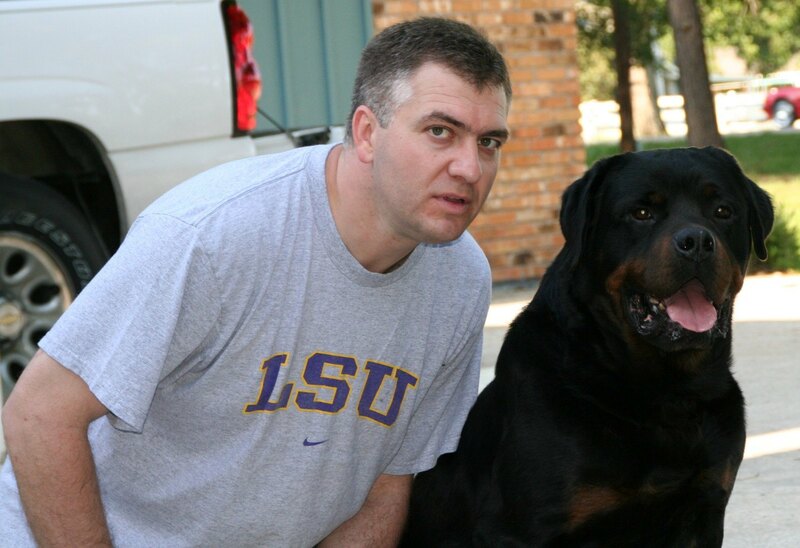 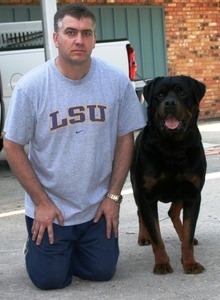 Best of all, Nik has the most wonderful social temperament of any Rottweiler that I have ever met. 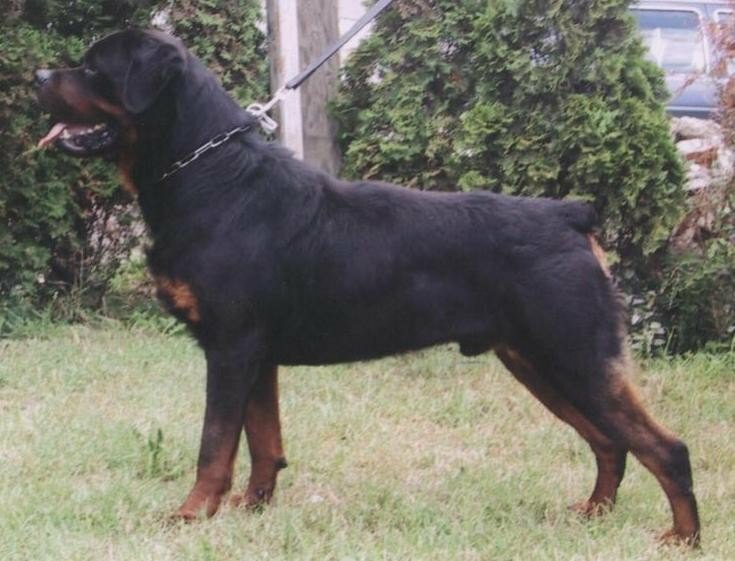 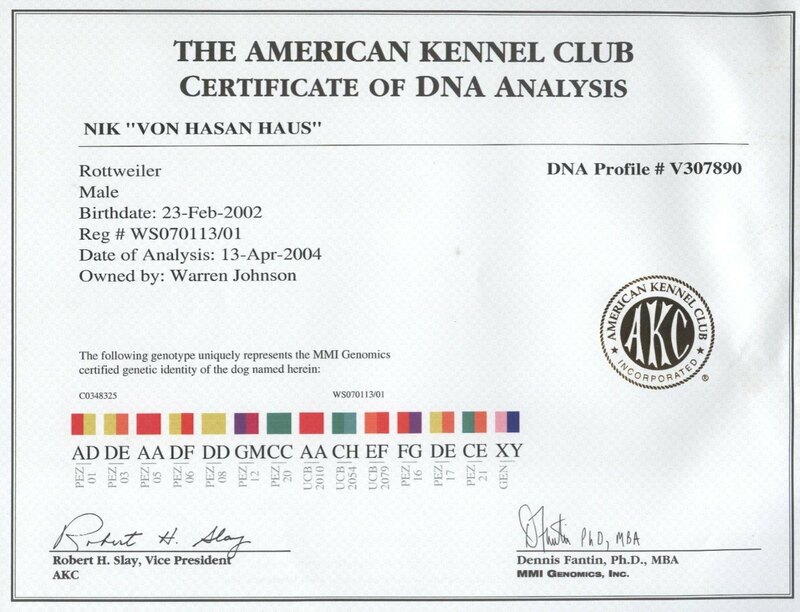 Factor all of these outstanding qualities together and many more that I have not mentioned and you can easily understand why Nik is one of our premier stud dogs and a most worthy ambassador for the breed. 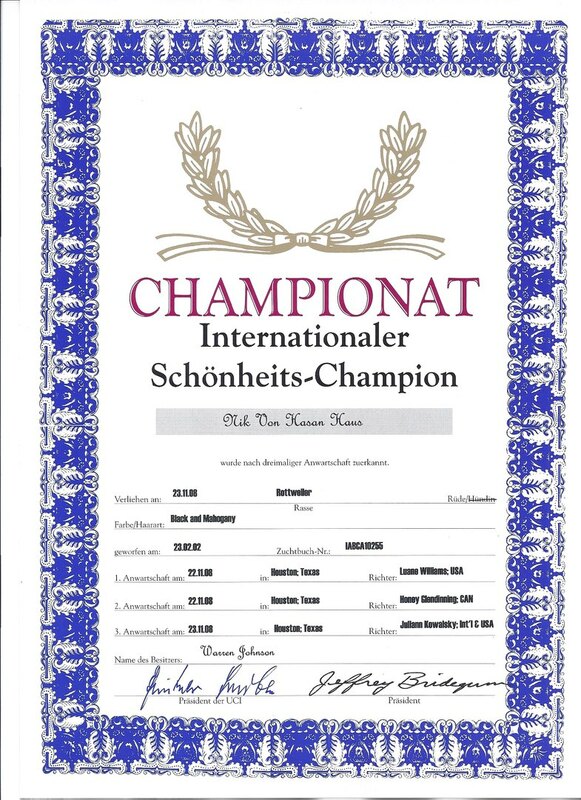 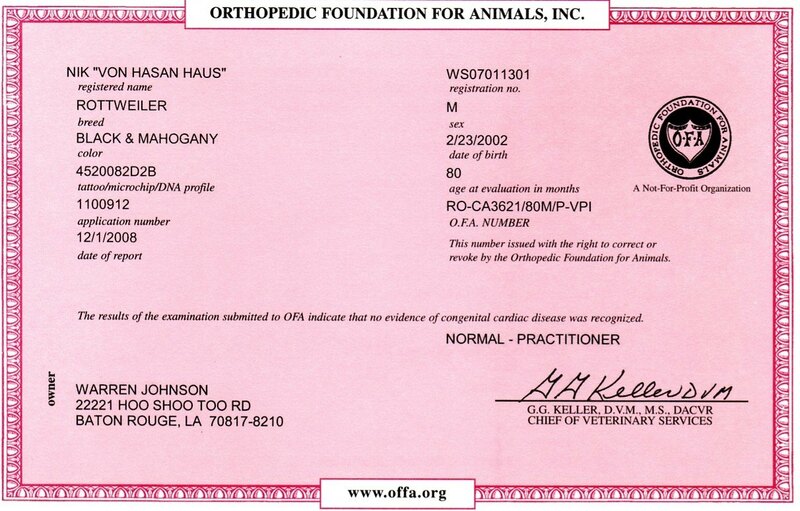 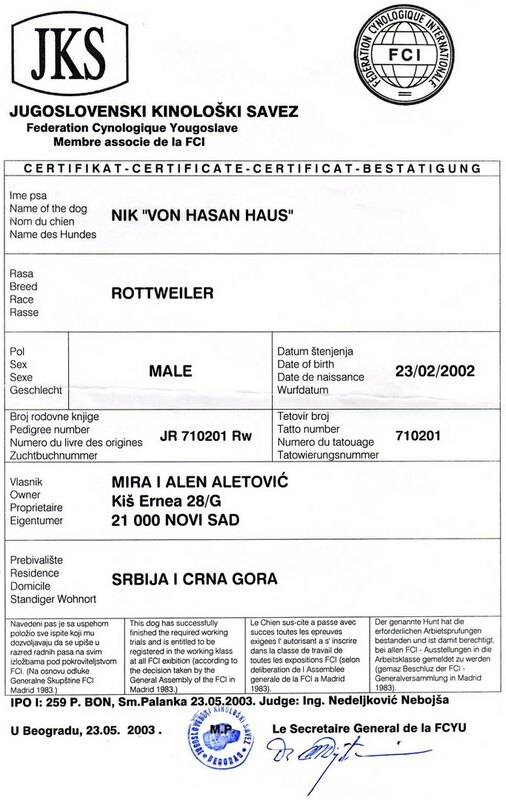 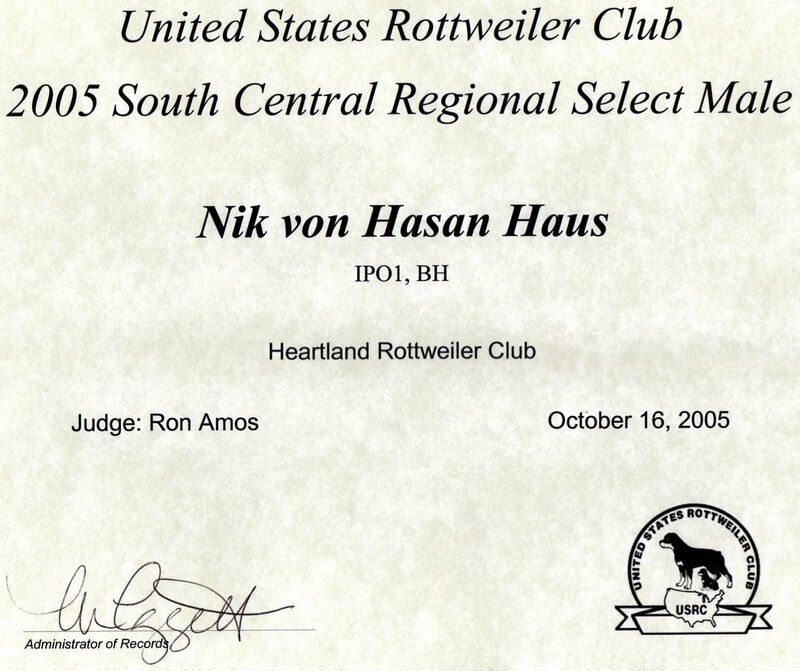 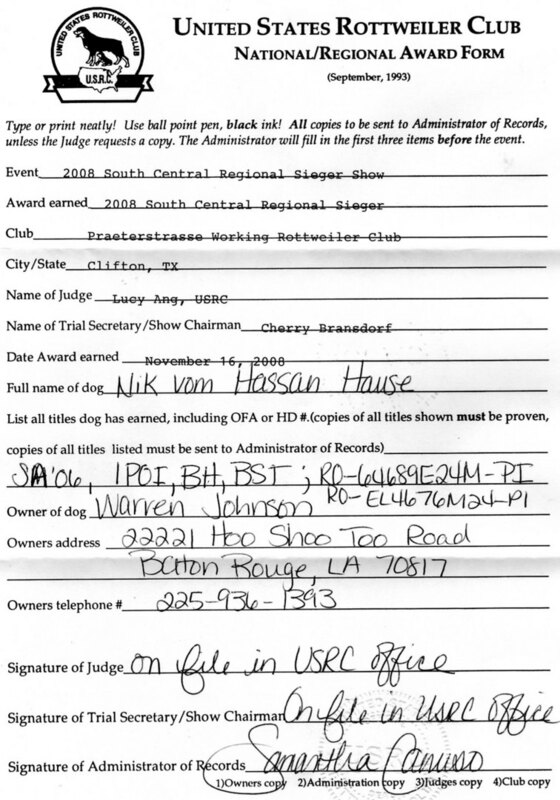 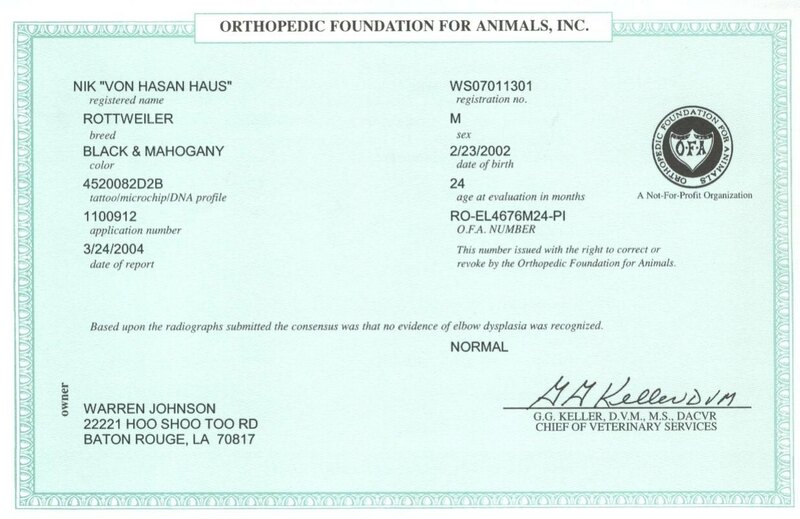 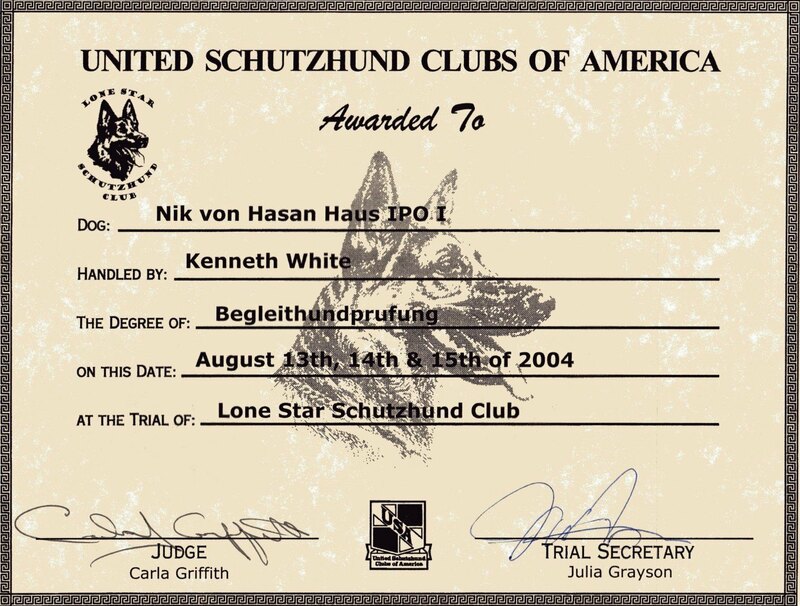 Nik was professionally trained and titled to his BST by Amanda Hoskinson. 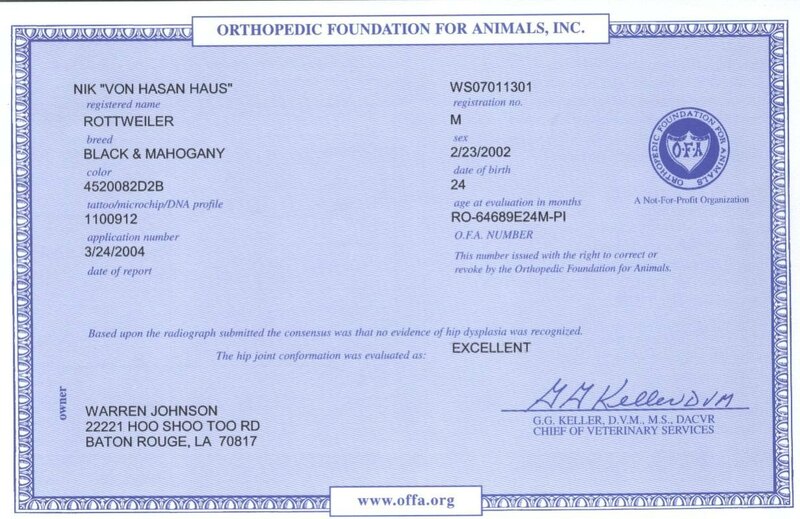 If you are looking for a stud that can produce you a puppy that has the whole package then look no further. 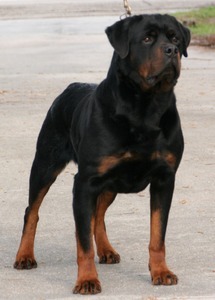 Nik is the one!